In June of 2014 my husband and I reunited with our son, Fr Spencer, then living in Rome, in Ireland. Day two held a full agenda heading out of Dublin: a late afternoon Ordination Mass and a stop-on-the way at Silverstream Priory in County Meath. The Prior, Dom Mark Kirby, is a monk whose blog, Vultus Christi, I follow and to whom I had previously spoken regarding prayer for priests. I was over-the-moon excited to meet him. Our first words were those of Morning Prayer with his community, then silently, seamlessly, we entered into holy Mass. All-too-suddenly this joyful serenity was shaken, however, when Dom Mark, with great animation, vociferously challenged us in his homily to "never miss" the Introit of the Mass. 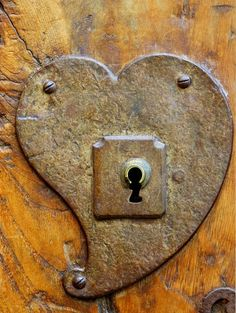 It is "the key, the key, the key" to unlock the understanding of the themes of the Mass ahead. The introit? That fragment of a psalm sung a'cappella as the cross-bearer, acolytes, lectors and priest process toward the sanctuary? I hardly noticed. After soaking in the beauty of the musical score, my appreciation generally vanished. Dom Mark assured that paying attention to the message of this sliver of Scripture was indeed the all important “key” to opening one’s heart to remain attentive to what was ahead in the holy Mass. "Open the door... enter and enter deeper still", he irresistibly encouraged. As Seven Sisters we might overlook "the key" that opens our hearts to the beauty of God's call as intercessors serving our priests in Holy Hours of prayer. While in the summer of 2010 I indeed prayed that first Hour exclusively for Fr Joseph Johnson which lead to another and another, both the idea and desire to offer Holy Hours I attribute to God. In responding, this likely perfectly poised me to be in His Eucharistic Presence and months later attentive and open to the concept of Seven Sisters. Ven Fulton Sheen, who is said to have offered a Holy Hour every day of his priestly life, states: "All my sermons are prepared in the presence of the Blessed Sacrament. ... The most brilliant ideas come from meeting God face to face. The Holy Spirit... is the best atmosphere of illumination." Drawing from Dom Mark's perspective, likely God's inspiration (His beginning, His introit) for the Apostolate is "the key" to the Apostolate... the prayer practice which brings us most deeply into God's plans for calling us into His work and for moving it forward. Perhaps He needs us to be in the rays of the Blessed Sacrament for both the sake of the priest and for our own sake. St Teresa of Calcutta experienced the multi-layered benefits of being in the Presence of the Blessed Sacrament. "I make a Holy Hour each day in the presence of the Blessed Sacrament. All my sisters of the Missionaries of Charity make a daily Holy Hour as well, because we find that through our daily Holy Hour our love for Jesus becomes more intimate, our love for each other more understanding, and our love for the poor more compassionate. ... No where on earth are you more welcomed, no where on earth are you more loved, than by Jesus, living and truly present in the Most Blessed Sacrament. The time you spend with Jesus in the Blessed Sacrament is the best time that you will spend on earth. Each moment that you spend with Jesus will deepen your union with Him and make your soul everlastingly more glorious and beautiful in Heaven, and will help bring an everlasting peace on earth." Two comments from Seven Sisters: (1) "I am hoping Father is benefiting from these Holy Hours, because I feel as if I am reaping all the graces... At first the prayer was difficult to stay focused, but now there is little of that and the day of the week doesn't seem to come quick enough. I love this - thank you! I hope it never stops spreading. Every priest - and every woman - needs this Apostolate!" (2) "This is hard to admit, but this was the first Holy Hour I ever finished in my life. I had a mission and now I realize I was part of that mission of God. He is teaching me so much in these Hours and our priest has expressed gratitude over and over." Some Seven Sisters have asked if a Mass can be offered in the stead of a Holy Hour. My answer, "While a Mass is indeed the highest form of prayer, the inspiration for the Apostolate is the offering of Holy Hours. We do well to stay close to this inspiration. "Can a Seven Sister arrange to have a Mass offered for a priest? or offer the benefits of her Communion for the priest for whom she prays? Of course, and with great merit to the priest, no doubt. Her commitment as a Seven Sister, however, is fulfilled by the offering of one Holy Hour each week for the priest for whom she is committed to pray. Anything additional is from her own discretion and generosity. The Seven Sister is always linked to the Mass. There is no consecrated Host for the monstrance without the prayers of holy Mass. Perhaps the priest that confected the Host, held in the embrace of the monstrance she kneels before, is the one for whom the Seven Sister prays. What a tender joy and personal connection for her! Our Scriptures remind that we profess a faith of one baptism, one body, one bread. Wherever a Seven Sister may be adoring, there is a link, a meeting as it were of all the other intercessors. We meet at the altar - whether for holy Mass or holy Adoration. And thus a vital part of the Apostolate identity is one heart of prayer. This unity hearkens to the reflective Eucharistic heart of St Augustine: "O sacrament of piety! O sign of unity! O bond of charity! He who wishes to live has a place to live, has whence to live. Let him come close, let him believe; let him be embodied, that he may be revived in life." With that said, when there is no Adoration Chapel near by, offering one's Hour in front of a tabernacle is encouraged and acceptable. Ven Fulton J Sheen offers a solution that has worked for Seven Sister members. In his book, Those Mysterious Priests,Ven Fulton J Sheen states, "If .. a part of the Hour were made before Mass and the rest of it after Mass, that would still be continuous." The Mass does not interrupt a Holy Hour. This is a beautiful way of keeping faithful to the Hour if a Seven Sister resides in an area where there may not be Adoration Chapels nearby and/or parishes are not kept open during other parts of the day outside of Mass times. We have been called into a rich and rewarding milieu - the very Heart of Jesus - in which to intercede for our brothers in Christ, who are also our shepherds. This call to offer Holy Hours seamlessly for bishops and priests is brilliant. It is the idea of Brilliance Himself. We are beckoned to have audience with the One for whom we beseech graces for another. Blessed are the ears that catch the secret whisperings of Jesus (Thomas a Kempis). In the economy of the Divine, we too are recipients of the lavish of graces. St Elizabeth Ann Seton, a convert, received great solace by bringing her sorrows to Jesus in the Blessed Sacrament and speaking heart to heart with Him there: "How sweet, the presence of Jesus to the longing and harassed soul! He is instant peace and balm to every wound." As we carry the weariness and wounds of the priests for whom we are committed to pray, let us implore this same solace for them. NOTE to Anchoresses: If you do not receive a Communiqué within the first 7 days of a new month, contact me directly or through the Web site email. Anchoress names are at times randomly dropped by the computer from the distribution list. The spreadsheet remains safe, however! In turn, when received, please pass the Communiqué within one week's time to your group members, if able. New groups forming in Kansas and Arizona! Welcome! Watch the map for updates! Across the pond: interest stirring in Sri Lanka and Italy. REMEMBRANCE of those SEVEN SISTERS who have PASSED: We want to remember those Seven Sisters in name and in prayer, who have gone before us to their eternal rest. Visit the Web site. Click on ABOUT folder and scroll to bottom, choose: IN REMEMBRANCE. Follow prompts... OR you may submit info via the Website email or to my email address. Please monthly check site for additions!